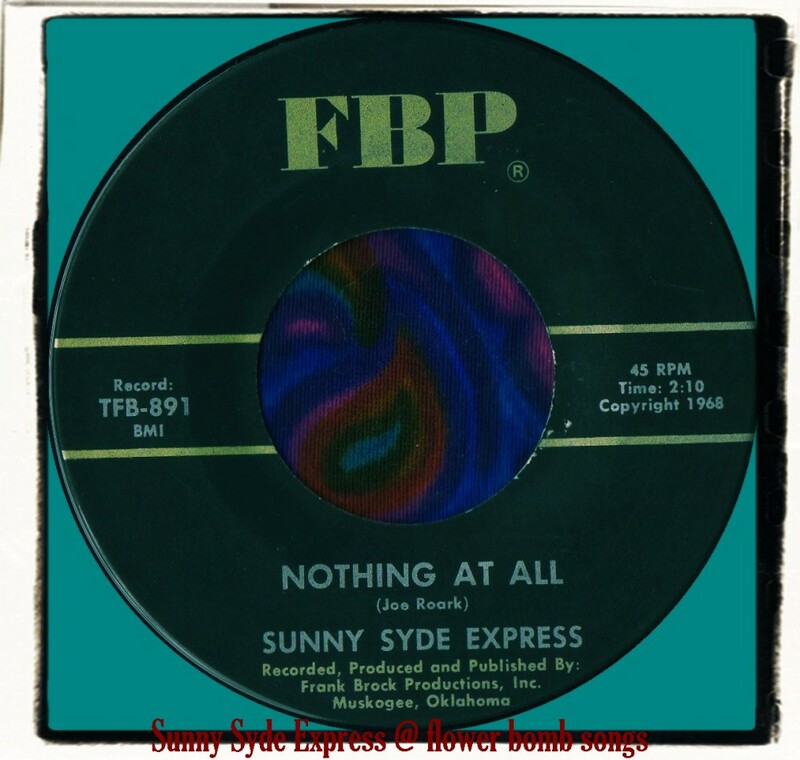 I know nothing about Sunny Syde Express but looking at the label I'll make a sensible guess and say that they were probably from Muskagee, Oklahoma. The music is not 60s garage, or psych, or underground or amazing or anything that trips you out, despite the promising name of the group. Both sides are slow paced pop, dominated by what I think is a Hammond B-3 but it ain't got no grooviness I'd associate with a hammond. It sounds like the organ every Working Men's Social Club in the North East used in the 60s/70s..
'Nothing At All' was written by Joe Roark, 'Love Hides Inside' was written by Don Price. About half an hour of research has revealed no information at all. I also did some checks on producer Frank Brock but once again, nothing. Sunny Syde Express will remain a mystery for now. First time I hear of them. Is it possible that you upload at least a side somewhere so we can listen to them? Thanks so much!